Would you fight a bear for Amazon? Amazon is expecting at least 100 different bids from cities across North America. Would you fight a bear for love? We all do crazy things when we're trying to catch someone's attention. Like apple-picking. No one willing does that. So that's why you might cringe watching Canadian cities bend over backward to catch Amazon's attention. Canadian cities are pulling out all the stops to try and convince Amazon to bring its new North American headquarters to the Great White North. To fit the bill for Amazon, the city needs a metropolitan centre with public transit, an international airport and enough space to build its pricey US$5-billion building. The Seattle company announced in September that it was searching for a place to build its second headquarters. Proposals were due Thursday, and the winning city could net up to 50,000 new jobs. Among the expected 100 bids is plenty of Canadian interest. Calgarians are offering to change their city's name and even fight a bear if it comes to that. A bear brawl may prove unnecessary, as one data analysis found that Calgary would be the best option for Amazon. The city's recent light rail expansion, growing pool of tech workers, abundance of available office space and obviously — breathtaking mountains — make it an attractive option. Ottawa doesn't care how desperate it looks. On Tuesday, the jumbotron at a hockey game between the Senators and the Vancouver Canucks egged the audience to "make some noise for Amazon." What? No kiss-cam with a picture of Jeff Bezos? In Halifax, the 425,000 residents are torn on whether they are ready for something like this. "Halifax is too small, in the wrong location, and not ready to offer 21st-century transportation options," argued Haligonian cycling advocate Ben Wedge. Toronto might be hoping for extra credit by writing a 185-page bid book. But unlike some American cities that are offering billions in tax cuts and incentives, Toronto ain't playing games, said Toby Lennox of Toronto Global, the agency that wrote the bid. "Frankly, we feel we don't need to." The CN Tower and the Rogers Centre aglow in the Toronto skyline during sunset. But seeing as another city is willing to change its name to Amazon and hand over a huge chunk of land, Toronto may need to pull out the big guns if it really wants to win. 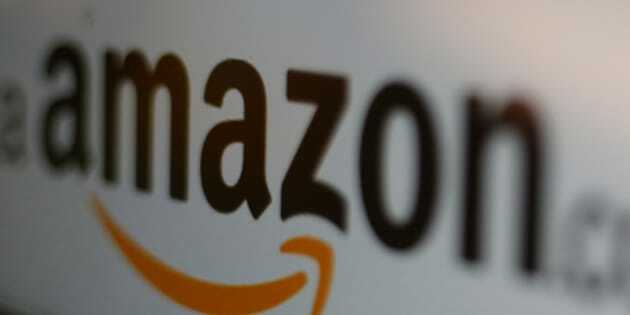 The city of Stonecrest, Ga. said it would change its name to Amazon and give up 345 acres or 1.4 sq. km of its land if it wins the bid. Stonecrest, Georgia, about 25 minutes from Atlanta, is offering to de-annex a part of its land and rename it Amazon, Georgia. Montreal and Edmonton, you might have missed your chance to step up if you want to stay in the game.